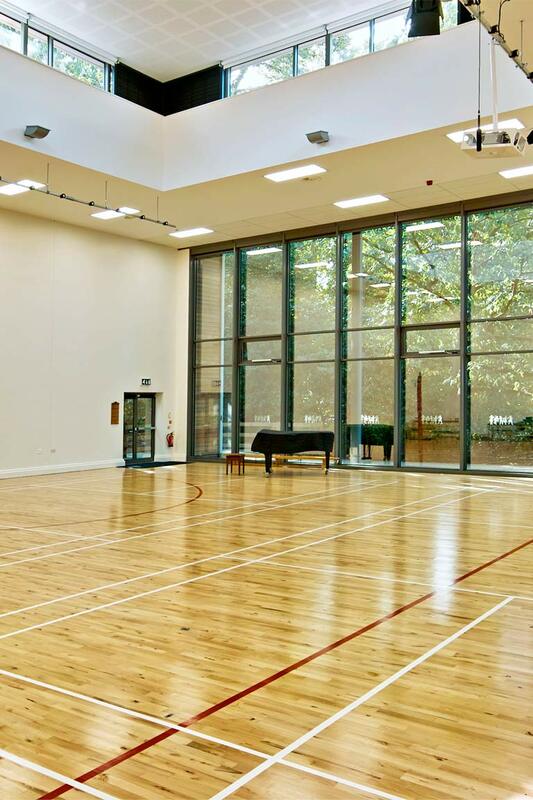 The school occupies a large, terraced site in the heart of the conservation area of Kingston, the grounds are defined by mature trees and formal landscapes making the insertion of a new sports and Dining hall a challenging project. 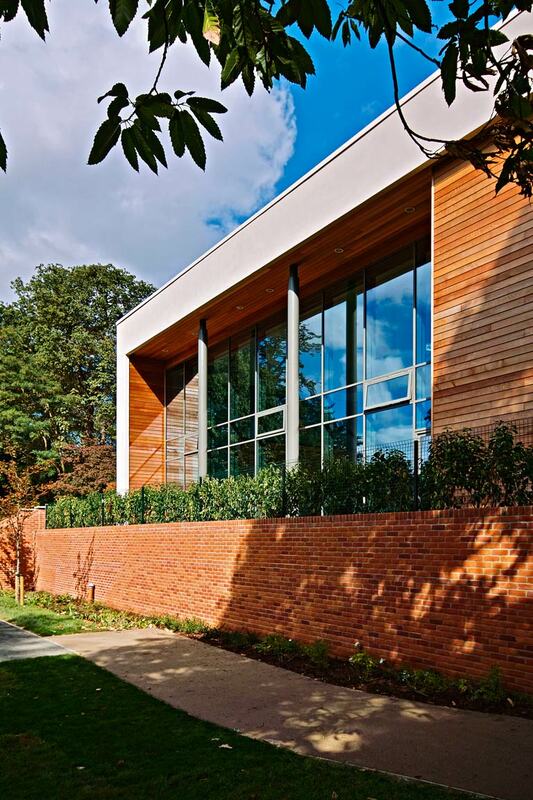 Working with the topography of the site, school architects Acanthus Clews' solution was to set the building into the natural terraces of the gardens and disguise its volume. Seen from the main school the pavilion appears as a single storey glass pavilion, with much of its ancillary accommodation, such as the kitchens, servery and changing rooms hidden below extensive landscaping and planting. The demolition of the existing dining and sports hall building, allowed for the extensive refurbishment of the rear elevation of the main school, bringing it back to its original appearance and setting.